Hunting season is well underway in Michigan and now is a good time to remind everyone that it is wise to wear hunter orange clothing when you are out enjoying the state’s trails and forest lands. The Michigan Department of Natural Resources does not close trails or pathways during hunting season, and it is legal to hunt throughout these areas if you adhere to the laws regarding safety zones. 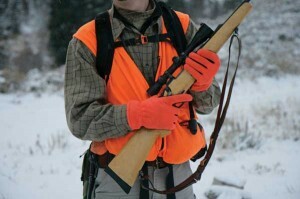 It is required by law that hunters wear “hunter orange.” There is no similar law for recreationalists, but because so much of state land borders private lands and the DNR allows hunting on portions of state-owned land, it is imperative that individuals take precaution and dress themselves and their pets in brightly colored clothing. Growing children shouldn’t carry more than 20 percent of their weight. (StatePoint) School may be a figurative pain in the neck for many children, but what about a literal pain in the neck — and back? These days, the answer is yes, and backpacks are to blame. Or more specifically, the improper use of backpacks. Heavy backpacks can negatively affect your child’s health by pulling on ligaments and muscles that cause neck and back pain and can possibly cause deformity of the spine, according to the ACA. • Choose a backpack with wide, padded shoulder straps and a padded back. They should be adjustable so the backpack can be fitted to your child’s body. Straps that are too loose can cause the backpack to dangle uncomfortably and cause spinal misalignment and pain. • Encourage your child to use both straps. Lugging the backpack around by one strap can cause a disproportionate shift of weight to one side, leading to neck and back spasms. • Pack light or at least smart. A backpack with individualized compartments helps in positioning the contents most effectively, keeping pointy objects away from the back. • Check to see if your children’s textbooks are available on e-readers — it’ll save their backs, as well as paper. Or consider buying a second set of textbooks for your student to keep at home, perhaps used ones. • Learn some back-strengthening exercises to build up muscles. Sit-ups are great since strong abdominal muscles can share the load and take the strain off back muscles. • Encourage your child or teenager to tell you about any pain or discomfort he or she may experience. Do not ignore any back pain in children or teenagers simply because they seem too young. If you or your child experiences any pain or discomfort resulting from backpack use, call your doctor of chiropractic, who is licensed and trained to diagnose and treat patients of all ages. In addition, doctors of chiropractic can also prescribe exercises designed to help children develop strong muscles, along with instruction in good nutrition, posture and sleeping habits. You can find more backpack safety tips and learn about treatment for back pain at www.acatoday.org/patients. And lastly, examine your own backpacks, handbags and diaper bags. Parents are as likely to suffer back pain from excess weight or improper carrying as are their children.